Why is it called the sixth team?? This might end up being the surprise team of PSL 4. This was actually surprisingly well handled by PCB. With the kind of names now picked - this team is a much more attractive investment. any info regarding mohammad ilyas and mohammad junaid? What is Shan Masood doing in a T20 squad?? Poor squad. Sixth team will probably finish sixth. Irfan Khan and Mohammad Ilyas will be worth watching though. Who are Qais Ahmed, Mohammad Junaid and Nauman Ali ? Last edited by Arsalan Pro; 20th November 2018 at 20:12. What happens if no one buys the team? Doesnt work that way in corporate affairs. They wont go this far without potential buyers lined up. PCB can hardly be classified as a professional organisation. So I wouldn’t be too sure. I agree. Cant be sure with PCB. Smith should captain the side. They have a decent bowling attack. Think Pooran ,Smith ,and Malik can do a decent job with the bat. Afridi could be a x factor. Don't think they will win it but they should compete well. Wish they gave Said Badar another chance . Given the turmoil it's not a bad squad. The bowling looks a bit weak though. I wonder which Franchise will be interested in buying this team now given that the draft has already taken place and that they have had zero input on the selection of players and coaching staff? What if the franchisor wants to overhaul things and have his own team and players before the start of the PSL? I 've heard the sixth team will be Faisalabad. When they picked 40 years old Shakeel Ansar from Sialkot, I thought it was going to be Sialkot. Decent 11. The batting is quite strong but I have a few issues with this bowling lineup. An abundance of leg spinners and the faster bowlers are not exactly reliable. The Prime Minister of Azad Kashmir Raja Mohammad Farooq Haider Khan requested the Pakistan Cricket Board (PCB) to give Kashmir the representation of the Sixth Team of the Pakistan Super League (PSL). Khan wrote a letter to the PCB chairman Ehsan Mani and asked him to give the rights of the Sixth Team to Kashmir to promote cricket in the region. It is pertinent to mention here that Kashmir hailed politician Nisar Ahmed will bid for the Sixth Team in Lahore on December 19. Khan further wrote in the letter that cricket is much popular in Kashmir and people want to see Kasmir’s representation in the only cricketing league of the country. The letter read that Kashmir is already associated with the PCB as a region and now it should become part of the PSL. It is worth mentioning here that the PCB terminated the franchise contract of Multan Sultans with Schon Group because of not meeting the financial obligations. It will antagonise our neighbor, which will make PSL even more popular in Pakistan. 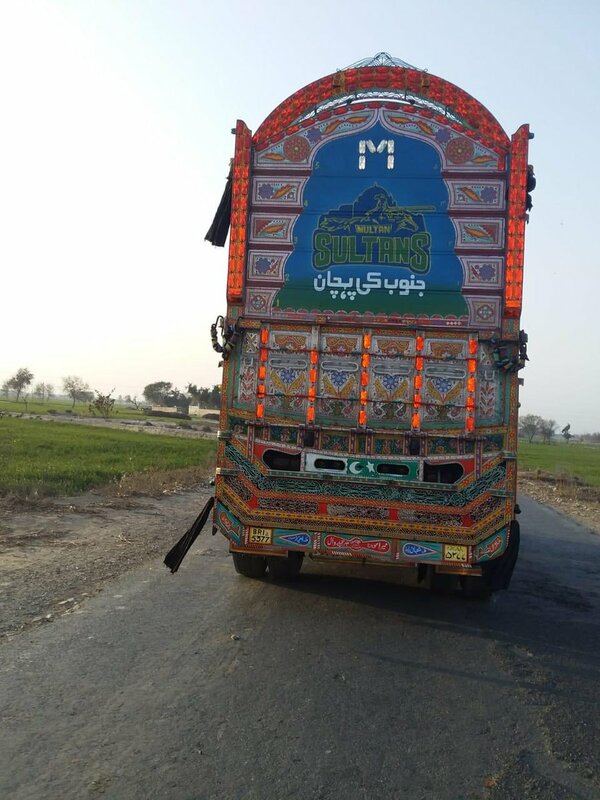 Not sure if they can change the multan thing now. sooner or later kashmir will be the part of PSL. Depends on the buyers if I understand the rules here. who will take over this role now ? any suitable coach available ? These “high profile” coaches in PLs & SLs are a bluff - hardly anyone can improve players over 6 weeks. Most of these players are internationals & seasoned pro - a dynamic Captain is more than enough for on field tactics. For the practice, more than high profile head coach, they need specialist technical coaches for batting, bowling & fielding. In PSL, probably the most high profile two head coaches were Moody & Arthur - their teams (MS & KK) are the two most under achievers after LQ. Whereas, IU & PZ has done well with best two Captains in PSL, QG as well. I don’t think MS needs any more person in coaching department. Abdur Rehman is probably the best among local coaches (guy is well educated as well), Nadeem was a decent SLAO spinner - should do well with spinners & Botha can help the players for fielding. Wasim as mentor/head coach/GM ...., Malik captain is enough. May be they can appoint a batting coach to look after the batting & hitting skills - a level 3 pro is enough for that. Wasim is affiliated with KK this season as the president of KK. Hardly follow any T20 league.... if not Wasim (I read he is opening an academy in Multan), then may be WY or Sohail or Shoaib or YK can do the same job. With Tom Moody not being available wouldn't potentially Paddy Upton be a decent shout. WY is with IU already. Sohail and Shoaib are a big no for me. Both don't have the brains to neither conduct themselves professionally nor create a good working environment. Shoaib is too volatile and non serious and Amir sohail is too bitter and clueless. Looks like Smith is ruled out of PSL due to injury. Blow for MS.
Multan Sultans made their HBL Pakistan Super League debut only in 2018, but their popularity in the league is at par with any other team. Under a new owner, they are the most expensive HBL PSL franchise. Their popularity in Pakistan, especially in Southern Punjab, is set to increase manifold as Shahid Afridi, the most eminent T20 player of the country, is among the new faces to join Sultans this season. The 39-year-old veteran is in vintage form, and last month became the first Pakistani to achieve a double of 4,000 runs and 300 wickets in T20 cricket. Afridi’s destructive nature with the bat is well known and he will be joined by another swashbuckling all-rounder Andre Russell, who comes in the team as a replacement for the injured Steve Smith. Both Afridi and Russell have a batting strike-rate in excess of 150.00 and together hit 500 plus sixes in T20s. Russell has won two T20 World Cups with the Windies in 2012 and 2016 and was also part of the Islamabad United side that won the HBL PSL in 2016 and 2018. The highly experienced T20 player and captain Shoaib Malik will continue to lead the side after having performed the same duties in the previous tournament. Malik is the only Pakistani who has accumulated 8,000 plus runs in 20-over cricket. Shoaib Malik said: “HBL PSL is my favorite time of the year. It is a fervour that spreads across the country and everyone is involved. I spent most of my childhood in Karachi and it is like home for me, so my target is to play the final in that beautiful city on 17 March. The left-arm pace duo of Mohammad Irfan and Junaid Khan will lead the bowling attack for the Sultans. Irfan is known for his miserly bowling and bowled 23 dot balls in a world record bowling spell in Barbados last year, whereas Junaid, one of the three bowlers to claim a hat-trick in the HBL PSL, is famous for his bowling in the death overs. The Sultans made their presence felt in the first appearance when at the halfway stage, they were at the top of the points table after winning four of the five completed matches. They had looked strong contenders to lift the trophy, but their form nosedived in the second half of the tournament as they finished outside the top four to miss out on the play-offs. With the world’s best all-rounders, a potent power-hitting unit and two world-class left-arm fast bowlers in their ranks, the Sultans will be hoping to showcase better results this time. Their challenge starts on the second day of the tournament when they take on Karachi Kings in Dubai on 15 February. Windies top-order batsman Nicholas Pooran has been replaced by two-time ICC T20 World Cup winner Johnson Charles in the Multan Sultans squad for HBL Pakistan Super League 2019. Multan Sultans coach Johan Botha said: "As a team, we are very happy for Pooran. He has worked hard and his excellent performances over this past year have been recognised. “I'd like to welcome Johnson Charles to the Multan Sultans squad. We are confident that Johnson will play a significant role in our HBL PSL campaign this year. He has the experience of two ICC World T20 wins under his belt and I have no doubt that our team will benefit from his performances and his experience." I hope they play Umar Siddiq instead of Shakeel Ansar. No idea why Ansar was even picked. Multan Sultan's squad has reached Dubai to take part in PSL 4. Last edited by shaaik; 9th February 2019 at 15:48. Green a good signing for Multan. Australia all-rounder Chris Green has been added to the Multan Sultans squad for the HBL Pakistan Super League 2019 edition. The 25-year old Green replaces Afghanistan leg-spinner Qais Ahmed who is unavailable. In 52 T20 matches Green has scored 374 runs and taken 40 wickets. Alan Wilkins during commentary noted that Andre Russell has not been bowling at 100% pace, especially during the over in which Luke Ronchi took a keen liking to him. Mathew Hayden also suspects that Russell may be injured. Thoughts? This is an unfortunate sight if you are a Sultans fan, a lot of hope depends on Russell to produce match winning performances for their campaign. Why does it seem like this is the franchise with the least fans? This is like my second favorite franchise especially this year the squad is much more appealing than last year, if only Smith didn't get injured. There's certainly a change of heart taking place. I don't think that Russell as a bowler alone is good enough to be played. I honestly think that Multan are wasting a (foreign player`s) spot their. On the contrary, he has in fact been bowling poorly and leaking runs. Batting him way down the order is in this case as good as playing with 10 players. It's best to bat him open the order to make use of his unmatched hitting ability, or drop him from the team altogether to play either a proper bowler or a batsman. He hardly gets an opportunity to bat and his bowling had never been the talking point of his career. Pretty surprising they dont have any emrging batsman or all rounder in the team. Ilyas wasnt even bowled today so better to have an emerging batsman or an all rounder if you are not even gonna bowl the emerging bowler. Andre Russell has been called up to the West Indies squad for the fourth and fifth matches of the ODIs against England. Why waste a pick when you anyway are not going to include Abbas in Playing XI. And it's already too late to play him now, it will make them look idiots if Abbas plays now and performs well. Or they can exchange him for Saud/Haris. "We have arrived from Dubai to Pakistan for the PSL, and are feeling really good that we are getting an opportunity to play in our country and in front of our crowds"
"There will be 8 games in Karachi and I am very excited to play in front of our crowd"
"Since I have started playing cricket, I have never before played in a game in front of our crowd which is broadcast live on TV"
"I am seeing a lot of spirit and enthusiasm in people as I saw that even at 3am when we arrived in Karachi, people were on the streets"
"These were great scenes as if it was the festival of Eid and this is a very good thing and credit goes to the PCB for this"
"I am hoping that international players who are here in the PSL will really enjoy this atmosphere and will see that Pakistanis are a friendly and a peace-loving nation"
"I also thank the foreign players who have come to play in Pakistan for the PSL"
"I hope and pray that all of PSL games will be played in Pakistan soon, and also international cricket will return to the country as well and we will enjoy it"